So does his advice work? Is it worth getting? Do you want a program that’s new and innovative from a well known PUA instructor who has paid his dues… or do you want a rehash of material that was released years ago from a no-name instructor? This technique is soooooooo f**king lame! 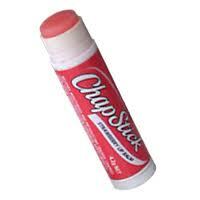 I thought only pre-teen girls wore fruit flavored chapstick? The overall idea of having “kissing techniques” in general is f**king stupid…. Once she is at that point, you don’t need to telegraph your intentions with some elaborate choreographed routine… YOU JUST DO IT!